Joy, what a lovely, meaningful poem! You are really GOOD! Andrew, what a joy to see you here! And what a lovely, encouraging comment! Thanks very much for spending some of your limited energy to bless me with your visit. Have duly found, read and responded to your heart-rending word. Thinking of and praying for you and your loved ones. Hang in there, friend. Longing with you, Joy. 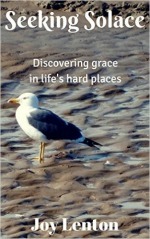 “I want to be awed and amazed once more as I become immersed in His grace and glory-story. I want to reflect more deeply on the light of His coming and the gift of His presence.” May we reflect Him! Blessings and hugs to you! state of new birth” …. Truth! Never forget it! God bless and merry Christmas. Inspiring post. Beautifully done. Christ is in all of us. God bless. Hi Diane. How lovely to see your sweet face here, my friend! Thanks very much for stopping by. Your words made me smile because I’ve felt that sad pang of regret over lost opportunities but now I tend to focus more on unlimited potential and possibilities to come in what my OH and I term ‘second life’. To have eternity to finally live bold and live free is a huge gift of grace I am eager to explore to the full.